If you read me regularly, you know I love a good mystery! 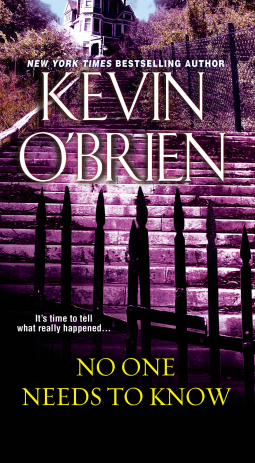 I had never read Kevin O’Brien before but this one looked intriguing — a talented chef is being tormented by someone from her past, a movie is being made about a Manson-like murder, people are dying in accidents and a ghost is being blamed, and it all ties together in this fast-paced, twisty murder mystery! This was one of those books that I just couldn’t put down! Poor Laurie has enough problems – she’s a single mom and young widow, who’s trying to put a major mistake in her past behind her, when she starts being stalked by a guy she had a relationship with. Heading off to Seattle to work with a caterer seems like a great idea until the stalkers seem to have followed her and her new boss appears to be covering up some serious stuff. Secrets abound in this novel – just when you think you’ve figured it out, it changes. Throughout, though, I really liked the character of Laurie who was tough but not perfect. There were lots of side characters who were interesting, too – I particularly liked all her neighbors. I really can’t say much more without giving too much away — but if you like a fun, fast, mystery/thriller, pick up a copy of NO ONE NEEDS TO KNOW! Thank you, Net Galley and Kensington Books, for my review e-copy!